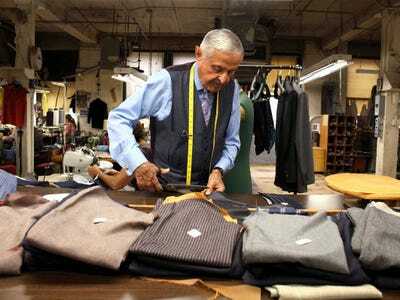 Melia Robinson/Business InsiderMartin Greenfield has been making suits the old-fashioned way for more than 60 years. Earlier this year, 86-year-old Martin Greenfield took us behind the scenes of his Brooklyn clothing factory, which for more than 60 years has tailored bespoke suits for America’s most powerful men. For Greenfield, the road to the American dream was filled with hardship. At the age of 15, he was taken from his Czechoslovakian home and transported to the Nazi concentration camp at Auschwitz, where he worked in the alteration shop. After being liberated in 1945, he came to the US and found work as a floor boy at GGG Clothes, a menswear factory he bought 30 years later. This month, Greenfield releases his memoir, “Measure of a Man: From Auschwitz Survivor to Presidents’ Tailor.” We’ve printed an excerpt below with his permission. “Politics is show business for ugly people,” or so the old saying goes. Since my early days at GGG, I’ve worked hard to make sure America’s political power brokers look anything but ugly. That’s important. In politics, perceptions become reality. Especially today, when a president’s every move reverberates around the globe. Even in the old days, though, most of the politicians I dressed understood that a leader’s appearance represents something much larger than his political views. It symbolizes America herself. Few of my political clients have understood the power of a fine suit better than those from military backgrounds. I learned about that power myself during my brief service in the Czechoslovakian army. Soldiers wore suits every day, and the importance of maintaining a crisp appearance was pounded into them. They knew an officer’s rank and authority by his uniform. Indeed, the relationship between men’s fashion and the military is longstanding. Civilian staples like pea coats, khakis, t-shirts — they all started with the military. Melia Robinson/Business InsiderBill Clinton commissioned a Martin Greenfield Clothiers tailcoat for his first state dinner as president. 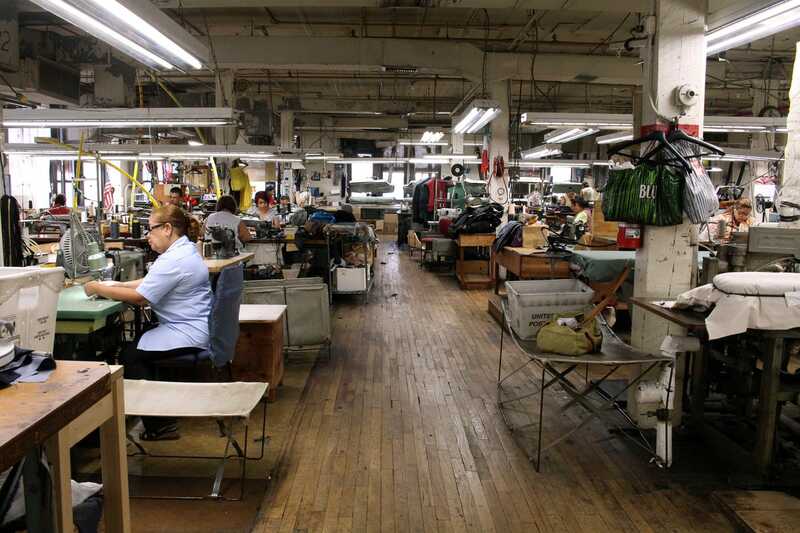 Melia Robinson/Business InsiderMartin Greenfield Clothiers is housed in a 100-year-old brick building in Williamsburg, Brooklyn. I couldn’t believe my luck. I’d been given the chance to use my skills in the service of a man who had my complete respect. 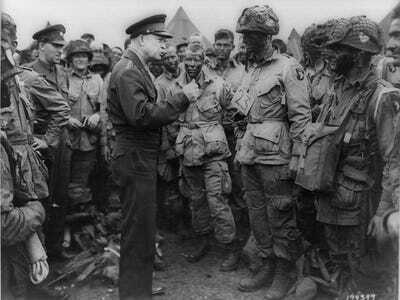 In my mind, General Eisenhower was ten feet tall. But, according to the measurement card, he was five feet ten inches, 172 pounds, had a forty-inch chest, wore a size 41 jacket, and had a thirty-six-inch waist. I supervised the making of the suits — watching the button-hole makers, the pocket makers, the under-collar makers, everyone involved with the process — to ensure that every stitch was flawless. I’d never been so obsessed with a suit order. Nothing could be wrong. Everything, as Mr. Goldman said, must be perfect. Mannie Goldman, who was close with Eisenhower, would have an idea of what the general thought of the suits. The next time I saw Mannie, I jumped him. “Well, what did he think?” I asked. I’d never been more proud in all my years as a tailor. We dressed Eisenhower throughout his tenure at Columbia University. 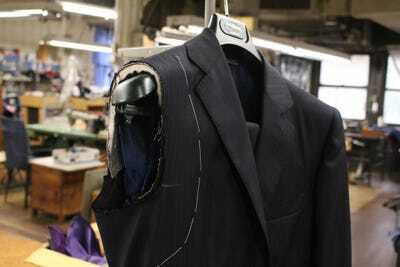 Any time he needed a GGG suit, pants, vest, anything, the order went straight to me. I followed Eisenhower’s political rise closely. His ascension to the White House felt like a personal victory, a confirmation that I was not alone in my admiration of the man whose leadership helped win World War II. I continued making Eisenhower’s suits into his presidency. He was the first president I dressed. 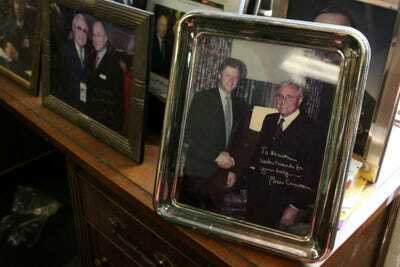 But given the Goldmans’ personal relationship with him, they got all the face time. If I were going to communicate directly with President Eisenhower, I had to get creative. The Suez Canal crisis that unfolded in 1956 and 1957 prompted me to do just that. 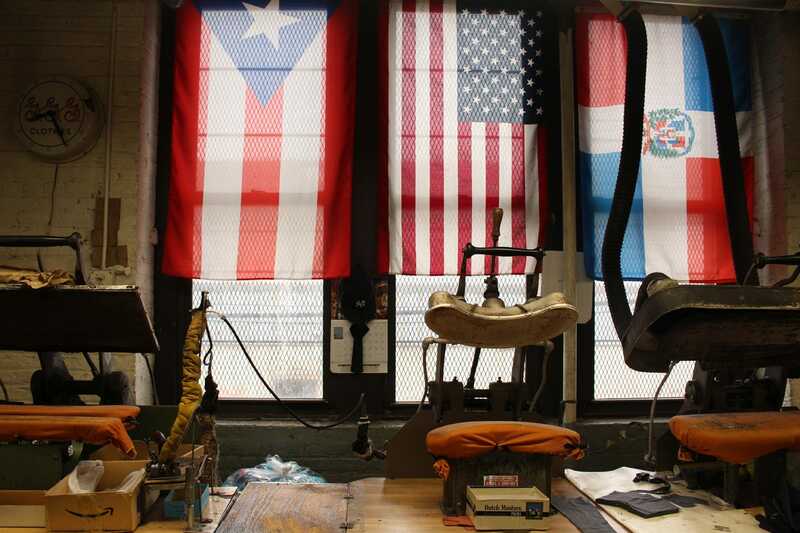 Melia Robinson/Business InsiderThe flags of his employees’ home countries hang in the second-floor window of the factory. America’s tepid response to Egypt’s nationalization of the Suez Canal frustrated me. I didn’t like that we were sitting on the sidelines while Britain, Israel, and France were already in the thick of the fight. I believed America needed to send Egypt’s president, Gamal Abdel Nasser, a strong response, one that could not be ignored. Foreign policy expert that I was, I determined that President Eisenhower, the former Allied commander and one of only nine five-star generals in American history, was in dire need of my strategic advice. I wrote him a brief, anonymous note. I knew it would never reach him if I sent it through the mail, so I put it in the outer pocket of a jacket I was making for him (and a duplicate in the inside pocket, in case someone found and discarded the other one). “If you want to end the Suez Crisis, you’ll send [Secretary of State] John Dulles on a two-week vacation,” I wrote. Melia Robinson/Business InsiderEvery suit is the culmination of 108 different operations done over the course of 16 labour hours. A few weeks later, I had another brilliant, penetrating insight into international relations on which the leader of the Free World needed my counsel. So I jotted it down and slipped it into another jacket pocket. This unconventional form of presidential advising continued until the Goldman brothers paid a visit to President Eisenhower at the White House. When they returned, I asked them what he thought of his most recent suit. “The president loves the suits. But he said someone keeps writing and leaving notes in his jacket pockets. He said there were even letters in the golf pants we made him. You wouldn’t happen to know anything about that would you, Martino?” said Mr. Goldman with a suspicious glance and a raised eyebrow. Eisenhower was so amused that he eventually told reporters there was a Brooklyn tailor who kept slipping foreign policy advice into his clothes, and the story became more widely known.